Uniting Golden Bears who were involved with Newman Hall Holy Spirit Parish at UC Berkeley. The Cal Newman Alumni brings together all alumni who were involved with the Catholic center of the University of California, Berkeley, Newman Hall Holy Spirit Parish. We support Newman Hall, the Paulist Fathers, and current students whenever possible. Through prayer and donations of time and money we support work to proclaim the Good News on the Berkeley campus and in our lives. As this group is relatively new, the current focus is to increase the membership by growing the email list. Events will be organized later in the year when there are people to attend them. Anyone who attended events at Newman Hall including Mass, retreats, student dinners, Seekers, or any other activity is welcome to join. Make a donation to Catholic Students at Cal. Matching funds are available through the New Alumni Challenge. If you graduated in the last five years, you may be eligible. If you have any questions or wish to contact us, visit our feedback form. Copyright 2009-2013. 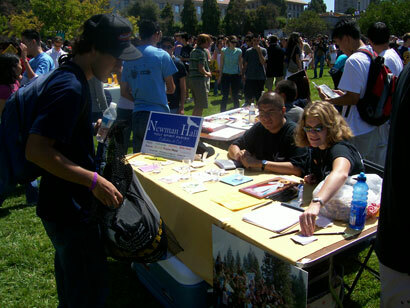 Cal Newman Alumni and Cal Alumni Association. All rights reserved. 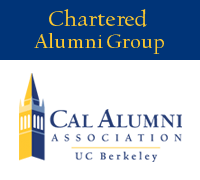 Join the Cal Alumni Association today and connect with over 95,000 alumni.